Farmers Grain Co. of Central Illinois installed a new CompuWeigh 30,000-bph bulk weigh loadout scale, shown above, under the control of a CompuWeigh GMS 4000 automation system, at Chestnut, IL. Farmers Grain Co. of Central Illinois in the village of Chestnut isn’t the largest rail loader on the Canadian National (CN/formerly Illinois Central) system. The 3.9-million-bushel elevator situated between State Highway 54 and a CN branch line has enough rail siding available to load up to 25 covered hopper cars at a time. Nevertheless, improvements could be made, even at a relatively small rail operation. The biggest improvement sought at Chestnut was accurate weights on railcars headed for major livestock feeders in the southwestern states. The solution was to install a bulk weigh loadout scale capable of providing origin weights. Farmers Grain looked at two different bulkweighers popular in the industry before settling on a 30,000-bph model manufactured by CompuWeigh Corp., Woodbury, CT (203-262-9400), under the control of the company’s GMS-4000 bulk weigh scale control system. 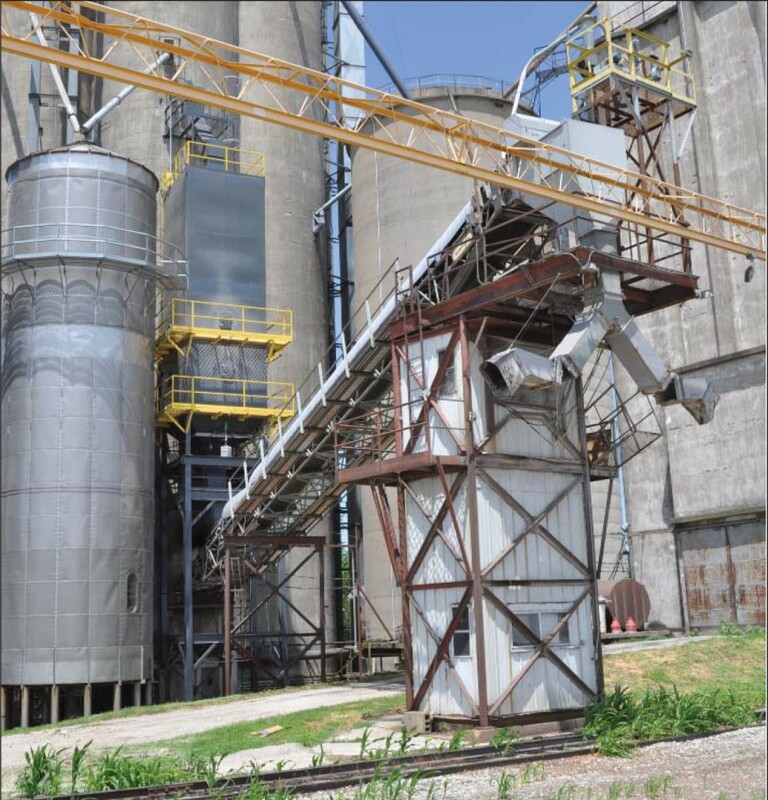 The bulkweigher was installed in July 2015 and empties onto an existing 30,000-bph overhead belt conveyor running out to a two-story, trackside loadout tower. The upper story houses the CompuWeigh controls through which the operator can load railcars using a two-way spout. Grain inspectors can use the lower level to determine origin grades. In particular, Edwards was impressed with the CompuWeigh SmartLoad system. This software module allows the bulkweigher to run while the next railcar is brought into position by preloading the weigh hopper and the lower garner. “That allows us to fill the bulkweigher on the fly and speeds up the loading processh” he says. The company opted not to install an RF tag reader. Edwards says he didn’t think it was necessary loading only 25 cars at a time. However, he likes the GMS-4000 access to a national railcar database maintained by the Association of American Railroads, which is updated coninually with load capacity information on each railcar. Edwards says that with the new bulkweigher, it takes about four hours to load a 25-car train. The CN allows 24 hours starting from the midnight after placement to load a train before applying demurrage.